The purpose of this post is to help people get started using Skype. If you are already using Skype for your personal learning or with your students please share your advice for new Skype users by leaving a comment. 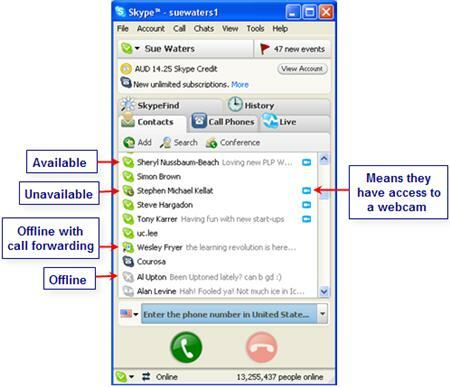 Skype is a free application that allows you to call people from all over the world using the internet. When you call another user that has Skype you talk or chat for free. Best of all you can tell when another user is online and what their status is so you know if they are available. To set up Skype on your computer you need to download and install it from here on Skype’s website. 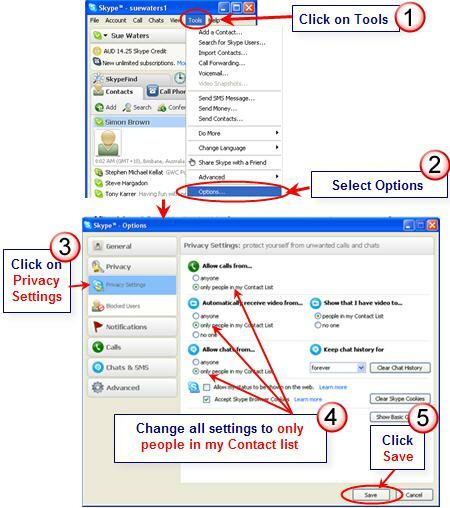 Once installed follow the instructions to set up your Skype account. For talking I like to use a Logitech USB headsets because the system easily detects them without any issues. Once set up I recommend that you change your privacy settings to only people in my contact list to ensure better control of who can ring or chat with you. This is done by clicking on Tools > Options > Privacy Tab. To contact people you will need to add their username to your Skype account. The easiest way of finding someone’s Skype username is to contact them to ask if they mind adding you to their Skype account and if so will they you their username. On the Say Hello screen I recommend you add a message if you don’t know the person well and then click OK.
Their status in Skype will be grey with a ? mark until they approve your contact. Occasionally they won’t receive your notification to add to their contact list – in this situation just ask them to also add your username to their account. It’s always good etiquette to send a person a chat message to start up a conversation rather than just ring to speak. This way you’re not interrupting them if they’re busy and they can set up their headset if it’s not plugged in. Once you’ve engaged in conversation if you want to change to talk ask them nicely if they mind. There is lots I could have written about using Skype but am hoping others will share their advice. Meanwhile make sure you check out Anne Mirtschin‘s post on Using Skype in the classroom! What tips would you give new Skype users? What advice would you give to educators who want to use Skype in their classroom? Can you share links to posts on your blog on how you have used Skype to connect with other classrooms or people? — so other educators can read what your students gained from these interactions. If you are interested in connecting with other classrooms using Skype please leave your contact details on this post and I will add them to the Skype Other Classrooms page of The Edublogger. @ Daryl I am wondering if you still use Pamela, the Skype add on, or have you found a better program for video recording Skype calls. Are the video files easy to access and use on iMovie or Movie Maker? @ Sue Waters Thank you for such a thorough resource. I would also like to use this with my faculty training and put a link on my page to your work. In your resources in the world of Skype, do you find professionals in the business world use Skype and are willing to connect with classrooms? A fellow teacher set-up a Skype with the director of the Federal Census Bureau, but I know it took her a while to find a way to contact him. Do you know of any resources available of business professional who would be willing to talk with students in sharing real world connections to curriculum. I really appreciate your input. I am interested in finding a program that will allow me to capture the Skype videoconference for future use. If possible, I would like to capture both sides of the conference (not just the audio portion). Hi David – it depend on if you are using a Mac or PC. Can you tell me which one you use? I would remind people to verify that your system has all the system requirements necessary to run Skype (or any new software) appropriately. Skype requires quite a bit of RAM to run the video and audio plug-ins and users/teachers should make sure that their systems can handle it before installing. all the details can be found at http://www.skype.com/download/skype/macosx/ and there are links for windows and Linux as well. If the computer does not have all the system requirements, the user can still run the chat or receive video, but sending video will over-tax the system. Excellent point Fritz, I’m so used to having a fast computer with good broadband I forgot to stop and consider that changes to Skype may make it harder to use on older computers. Thanks for the link. Thanks Daryl for telling us about Pamela. I’ve used a range of programs to record Skype on both PCs and Macs so will definitely check it out. Very helpful. 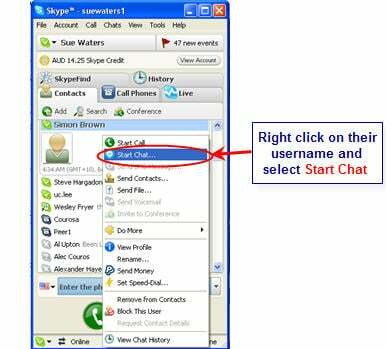 My students have been using Skype for years and can’t believe that their teacher still pays for long distance calls. I appreciate the concise primer! “The first step is the hardest,” as the proverb goes. So Eric – you will have to let us know when you have installed it and have it working. I nag my f2f friends all the time to install Skype but they are always reluctant because installing the software is the biggest barrier for them. As a tech coach, I must say your instructions and screenshots are great! Thanks for making such a great resource. 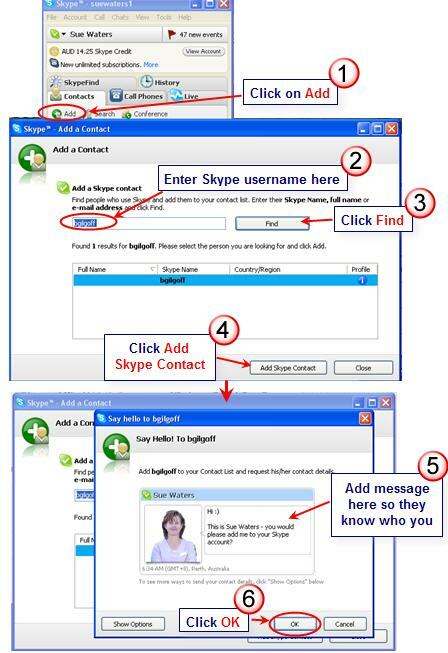 I hope you don’t mind if I link to your page off my teacher resource wiki for Skype instructions. Thanks for sharing!!! No problem Jeff. Based on the pingbacks looks like quite a few people like this post. You might like to also check out my PLN Yourself website— may be helpful for your teachers. One day I will get around to telling people about the PLN website. @Mike and Dashby Excellent point. Sounds like an idea would be for me to write a post asking people to let us know if they are interested in connecting their classrooms and if so could they share a link to their about page – with contact details and which country they are from. What do you think? I could then set up another page on the Edublogger similar to the Class list where people could scan it to find people to connect with? That sounds like a great idea. Pity we have just finished school here TODAY in Tasmania but I will certainly love to do more skyping next year once we are back in mid February. My question is the same as Mike’s above. What would be a good resource for finding other classrooms to conference with? I have set up Skype to use in my class, but am wondering if you had suggestions on how to find classrooms to communicate with in other countries? For those new to Skype – if you get text messages/requests for contact details from strangers then block the contact. One of my contacts – not very tech minded inadvertently allowed some sort of contact from one of these. This resulted in me getting a lot of very inappropriate messages/requests a few months ago as they had accessed his contact list. @Jo Hart I made the mistake early on not to change my Skype privacy settings and was getting contacts from complete strangers. Definitely important to have the privacy right. Also if you do have problems it’s nice to know you can block people. I’ve had to do that to my oldest son Mr14 when he wouldn’t stop bugging me. Yes, I too quickly learned about blocking as my work skype address is continually being harassed! Something to do with being in a University I think. One tip for getting started is to start with a friend and learn together, maybe even on two laptops near each other (watch for feedback though). This way you can troubleshoot easily. Second tip, don’t assume it will always be perfect, Skype has some down days where sound is affected or the video feed is continually breaking. With over 7 million users on at any one time I’m not surprised. Third tip, if you want anonymity give yourself an odd name, do not share your location, gender or age when you set up your profile. @Anita I definitely had trouble with randoms contacting me early on because I hadn’t done my privacy settings. Now it is no longer a problem. I often help people when they set up their account which is a bit of fun. Thanks for the extra great tips for new people.